About — Deya Elevator Service Inc.
With more than 50 years offering services in Puerto Rico, we are a family business with the mission to cultivate sincere commercial relationships with our clients, based on trust and mutual respect. Joined today by the second generation of our family, we have grown vigorously at DEYA, positioning ourselves among the first and most respected companies in our industry and tending to over 2,700 service units. The experimented and renowned members of our team are our best asset and they have at hand the most innovative technology available in the market. Because of this, the quality and reliability of our service has won us the installation of one in every five elevators in operation in all Puerto Rico. We are a world-class company specializing in the vertical transportation industry. We standout for our integrity, responsibility, persistence, discipline and for being committed to excellence. We create business relationships where all the parts benefit. To constantly develop ourselves to bring our clients the best service in vertical transportation, through the most capacitated personnel and using the most efficient processes in the industry. In 1954, with only 18 years of age and filled with hopes and desire to grow, a young entrepreneur by the name of José Guillermo Deyá decided to leave his hometown of Ciales to fulfill his dream of studying, working and developing himself in San Juan, Puerto Rico. Bringing with him only a bag full of the will needed to accomplish his goals, José Guillermo moved in with relatives before taking the firsts steps towards his future. He studied at the Miguel Such Vocational School of Río Piedras for a year and, on his 19th birthday, he landed a job with an elevator company that offered services locally. In 1962 and with 23 years of age, José Guillermo became independent and started offering his own elevator maintenance services. Thus began the success story of his company, Deya Elevator Service Inc.
DEYA had its first offices in the garage of José Guillermo’s home, at that time made up of his wife and four sons. Initially, he only had a single employee: himself; but soon enough the unsurmountable quality of his service won him the support of new and consistent clients. By 1965 José Guillermo already had multiple clients and thus was able to bring his brothers into the company, whom he trained and capacitated with the same strong foundations he had developed and with his philosophy of excellence in service before all. Four of his brothers joined in and DEYA started growing along with the number of clients they served. He first recruited family members, like nephews and cousins, but soon after he started bringing aboard young people who, like him before, had the desire to work and have a better future; to the point where he would capacitate and give them tools and opportunities to study while working. Being a family business, José Guillermo’s wife also gave her full support and having worked together with him for more than 53 years. Big clients contributed to his growth, like Hotel El Conquistador, which hired the company to purchase, install and give maintenance to 25 elevators and escalators. But it wasn’t only his clients that supported Deya Elevator Service Inc. from the onset, other companies also helped through their products, by securing exclusivity of their services in Puerto Rico. Soon after, DEYA started manufacturing its own elevator cabins and created its first electronics workshop to be at the forefront of new technology in its industry. For the benefit of all employees, the company created its Capacitation School, where it offers continued education to the members of its team. This training of its resources, together with the discipline and specialized knowledge imparted among them, made it possible for DEYA to offer services even for elevators and escalators manufactured by other companies. Since 2011, the consistency, evolution and knowledge of its team of professionals in the vertical transportation industry turned the company into the only one in Puerto Rico working with cable cars and funiculars. On that year, DEYA incorporated these products to its line, accomplishing the successful installation of the cable car system at Parque Forestal La Marquesa, Guaynabo municipality. 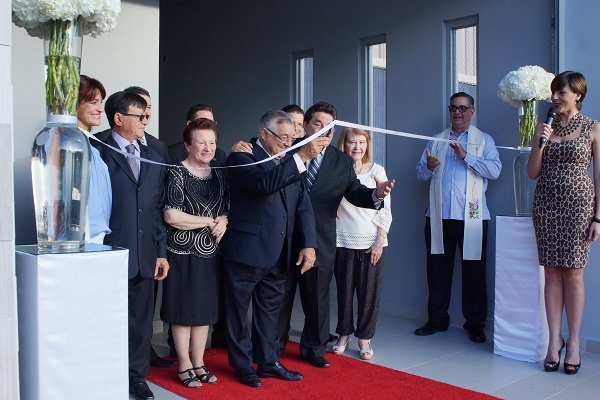 To further its success trajectory and against all forecasts about the existing global economic crisis, in 2014 DEYA inaugurated its new offices in Guaynabo. At this time and for the benefit of clients and employees, the company’s executives decided to bet on Puerto Rico’s future again, this time building its new headquarters in a strategic site where executive, administrative and operational areas are all located under one roof. The new building—which José Guillermo considers a “temple of labor” for all who work there—features 30,000 square feet of floor space distributed among two levels. In it, natural light, integration of new technology, LED lighting, high-efficiency air conditioning and an ultra-modern low energy consumption panoramic elevator combine to create the ideal place to continue offering the quality service that only DEYA provides. Just at the beginning of 2017, DEYA already had 2,700 elevator units under its maintenance services and currently provides solutions to 35% of all clients in this sector of Puerto Rico. In this way, Deya Elevator Service Inc. demonstrates the corporate trust that has always been at its core, while placing itself as a leader in Puerto Rico’s vertical transport industry.